Institute for Environment and Development (LESTARI), Universiti Kebangsaan Malaysia (UKM) in partnership with the United Nations Educational, Science and Cultural Organization (UNESCO), with the support of Malaysian Funds-in-Trust (MFIT) and Japan Funds-in-Trust (JFIT), and in collaboration with the International Science, Technology and Innovation Centre for South-South Cooperation under the Auspices of UNESCO (ISTIC), Regional Humid Tropics Hydrology and Water Resources Centre for South-East Asia and the Pacific (HTC) Kuala Lumpur, UNESCO-IHP Malaysia, Ministry of Education Malaysia (MOE), Malaysian National Commission for UNESCO (MNCU) and National Council of Professors (MPN) have successfully organized the International Workshop on “Sustainability Science for Sustainable Development Goals (SDGs)“ held on 4-5 March 2015 at Kuala Lumpur Convention Centre (KLCC), Kuala Lumpur, Malaysia. 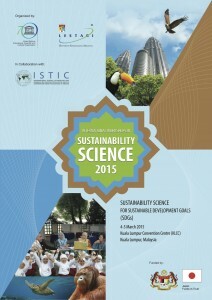 This workshop is part of follow up initiatives of the “International Workshop on Sustainability Science: A Science Based Approach to Realize the Future We Want for All” held on 4-5 April 2013 at Istana Hotel, Kuala Lumpur, Malaysia which was organized in close collaboration by the above mentioned organizations. 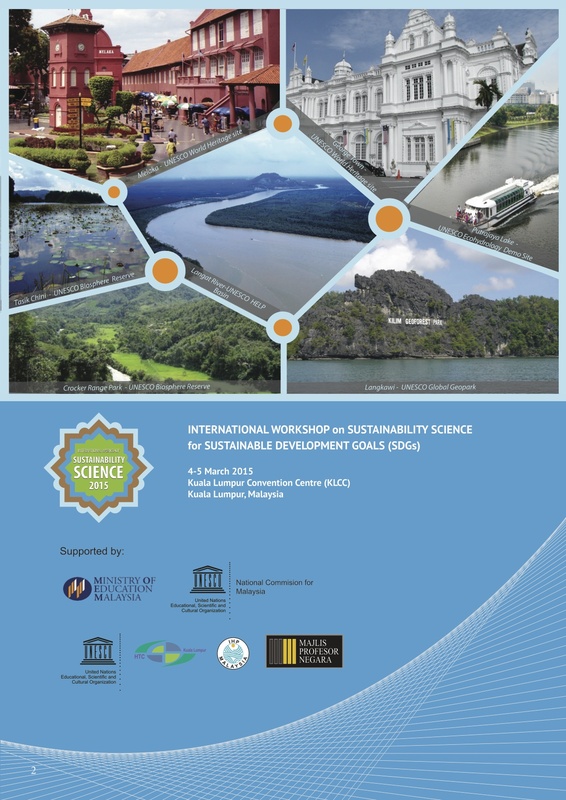 This sustainability science workshop has constituted of a ‘sustainable science-policy interface’ sessions to design the road map for implementing Sustainability Science in Asia-Pacific, linking with Africa to promote South-South cooperation. The best practices were synthesized, with a focus on environmental sustainability, from the demonstrations pilot sites established across the region. 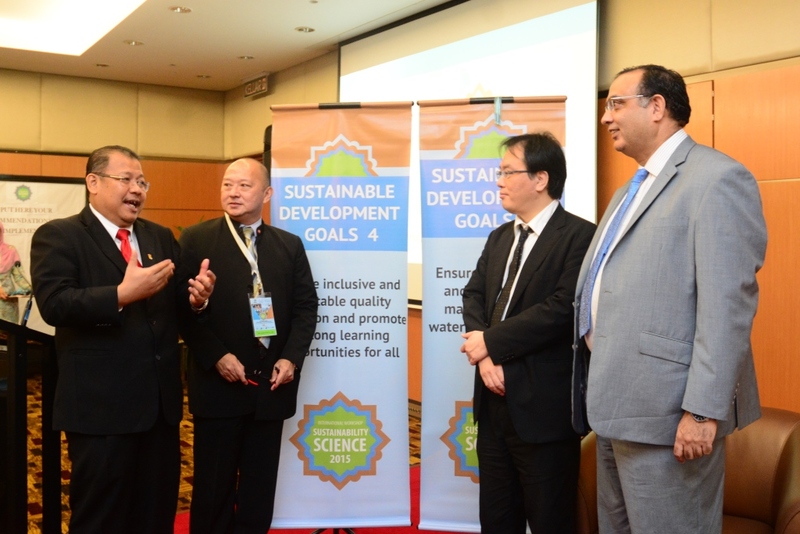 This workshop has also addressed sustainable solutions to natural resources management and elaborate recommendations on how the interface between science and policy can contribute to a meaningful delivery of the Post-2015 Development Agenda in the Asia-Pacific region. 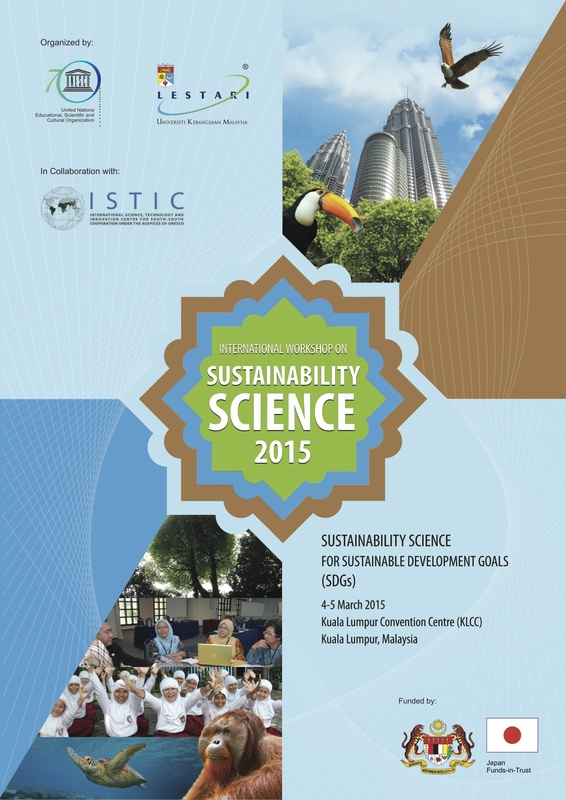 The workshop has brought together key stakeholders and scientists to discuss the current status of sustainability science, globally, and in the Asia-Pacific region including challenges of Post-2015 Development Agenda, Environmental Sustainability in the ASEAN, and experiences in implementing Sustainable Science policies. It was attended by 139 participants from 23 countries (Malaysia, Indonesia, Japan, Australia, Philippines, China, Vietnam, Pakistan, India, Uzbekistan, Kazakhstan, Cambodia, Samoa, Cook Islands, Solomon Islands, Fiji, Timor Leste, Brunei Darussalam, France, England, Iran, Zimbabwe, Nigeria), 78 male dan 61 female out of 42 International Organizations and 97 local participants consist of 23 government sectors, 9 private sectors, 8 NGOs, 54 from universities and 11 Media. UKM Vice Chancellor i.e Prof Datuk Dr. Noor Azlan Ghazali has delivered his opening remark at this workshop, followed by Mr. Takao Noda, the Assistant Secretary General of Ministry of Education, Science and Culture (MEXT) Japan, then by Dr Alexander A. Lim of ASEAN Socio Cultural Community (ASCC) Science and Technology Division Head, and Prof Dr Shahbaz Khan of UNESCO Jakarta Officer-in-Charge. The high-level science policy dialogue during this workshop has participated by experts including Prof. Tan Sri Dr. Zakri Abdul Hamid, Science Advisor to Malaysian Prime Minister, Prof. Kazuhiko Takeuchi the United Nations University (UNU) Senior Vice-Rector, Prof. Kuniyoshi Takeuchi, Advisor of The International Centre for Water Hazard (ICHARM) and many others. 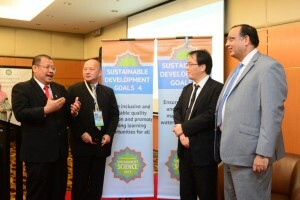 The sharing of insights, information and understanding between these high level experts and policy makers has made this workshop as a big step in contributing to the Post-2015 Development Agenda through the Sustainability Science Approach.